One day after the US gave its assent to a six-month interim nuclear deal with Iran, US Secretary of State John Kerry publicly clashed with Russian Foreign Minister Sergei Lavrov over Iran’s participation in the Geneva II conference on Syria. Washington is determined to exclude Iran from the conference, which aims to find a “negotiated solution” to the three year-old Syrian war, unless it agrees to a US “precondition” that means throwing Syrian President Bashar al-Assad’s regime, Iran’s closest ally, to the wolves. As one of two UN-designated conference “initiators,” the US claims the power to veto Iran’s participation. The US, France, Britain, and their Saudi, Turkish, and Qatari allies have used Sunni Islamists, including Al Qaeda-linked groups and tens of thousands of foreign fighters, as their proxies in a reactionary war for “regime change” in Syria. As a result, more than 100,000 people have been killed, more than 6 million rendered refugees, and much of Syria razed. When Lavrov complained that Iran’s exclusion might scuttle any chance for a negotiated end to the Syria war, Kerry bluntly replied that the only acceptable solution to the conflict is on US terms. He demanded Assad’s ouster and the imposition of a “transitional” Syrian government, in which half the seats would be allotted to US-sponsored Islamist “rebels.” Kerry called it “common sense” to exclude Iran, which has not yet agreed to such a neocolonial “transitional” regime. Kerry’s position was seconded by Britain’s Foreign Secretary William Hague, who demanded that Tehran give “a signal of support” for the “transitional government” sought by Washington. The US’s exclusion of Iran from Geneva II talks is in parallel with its efforts to strengthen its Islamist opposition proxies. Though these groups’ sectarian atrocities have alienated the Syrian people, they are currently the only US-backed forces inside Syria. The Syrian National Council and the Free Syrian Army (FSA), the ostensibly secular-led groups promoted by the US as the palatable international face of the opposition, play no significant military role. The Obama administration is reportedly working to reconcile the FSA with the Islamic Front, a recently formed, Saudi-backed group that collaborates with the Al Qaeda-linked Al Nusra Front. It views the prospect of US military aid going to Al Qaeda groups and the potential for a terrorist “blowback” in the US as acceptable collateral damage in its campaign to topple Assad. US imperialism’s reinvigorated campaign for regime change in Syria underscores that its “diplomatic turn” towards talks with Tehran does not signal a fundamental change in its basic strategy in the region: the elimination of any Iranian challenge to US interests, and the strengthening of US hegemony over the world’s main oil-exporting region. The Obama administration has only shifted tactics, after repeated overtures from Iran’s clerical-populist regime, with a view to exploring whether it can harness Tehran to its predatory agenda. Washington has already extorted sweeping concessions from Tehran under the six-month interim nuclear agreement reached between Iran, the US, its European Union allies, Russia and China on November 24. Under the deal finalized last Sunday, it is to come into force on January 20. The agreement calls for Iran to cease all enrichment of uranium above 5 percent, “neutralize” its stockpile of 20 percent enriched uranium, refrain from activating the Arak heavy water reactor, and submit its nuclear facilities to intrusive inspections. In return, the US and its European allies will grant minimal relief from sanctions that have crippled Iran’s economy. The relief is estimated at between $6.5 and $7 billion—i.e., what the sanctions cost Iran in oil exports every six weeks. At least $4.2 billion of the sanctions “relief” is Iran’s own money, which Asian countries have paid into frozen Iranian accounts for oil shipments they already received. A key issue in the “technical” talks on finalizing the November 24 agreement was Washington’s determination to institute “safeguards” to ensure that Iran continues to be throttled by sanctions on its oil industry and that cut it off from the world financial system. These sanctions—among the harshest every imposed outside war—have devastated Iran, halving its oil exports, and fueling 40 percent inflation and massive job losses. They have cost thousands of lives by preventing the import of pharmaceuticals and other medical supplies. 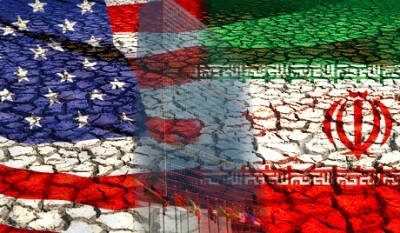 Washington has repeatedly insisted on the conditional character of the interim agreement, emphasizing that if the US deems Iran is not fulfilling its commitments, it can and will impose harsher sanctions and that the US retains “all options” in regards to Iran—a euphemism for war. While it speaks of peace and diplomacy, the US is intensifying its provocations and threats against Syria and Iran. For the US, the nuclear issue has always been a pretext to bully Iran, bring forth fabricated claims and new demands, and lay the political groundwork for war. It will do the same now, to squeeze Iran for concessions and to exploit fissures inside Iran’s bourgeois political elite. Within Iran the response to the agreement has been muted, doubtless in part because its details are not yet public. In recent weeks, however, there has been growing criticism of the November 24 agreement for leaving the sanctions virtually untouched. Many members of parliament have also accused the government of concealing secret codicils and understandings bound up with the agreement. Predictably, pro-Western former President Hashemi Rafsanjani hailed the agreement, declaring it “a win-win for both sides.” The mentor of the current president, Hassan Rouhani, Rafsanjani has for a quarter century spearheaded the drive for an accommodation with US imperialism. As president of Iran, from 1989-1997, he oversaw a brutal IMF-inspired austerity program. Rouhani is similarly identified with the push for pro-market reforms to eliminate what remains of the social concessions made to the working class and poor after the 1979 Revolution. Last weekend, as the interim nuclear deal was being finalized, Tehran announced that Rouhani will travel later this month to the World Economic Forum in Davos, Switzerland, where he will woo the Western business and political elite. Rouhani has already rolled out the red carpet for US and EU energy giants, offering them privileged access to Iran’s massive oil and natural gas reserves and suggesting that Iran is eager to see them supplant the Chinese as the principal “partner” of Iran’s oil industry.